Prior to the outbreak of World War II, Germany had been suffering under the reparation that the Triple Entente had forced upon them after the end of the first World War. 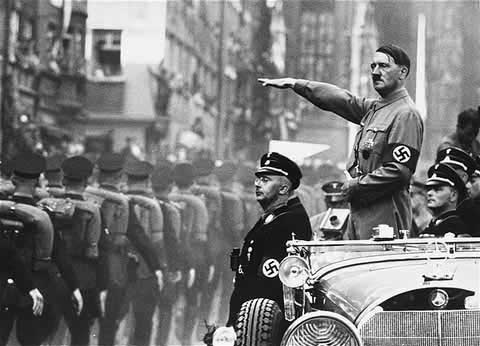 This eventually led to the rise of the Nazi party who under the leadership of Adolf Hitler, began to militarize the country at a rapid rate in order to revive the German economy. In Japan, the country also began militarizing and moving into the mainland in order to secure resources and land for their growing population. They recognized that if their country did not expand, then the island chain they lived on would be insufficient in supporting them in the years to come which resulted into their invasion of China, Manchuria, and many Pacific islands. The causes of Axis aggression in Europe and Japan were both similar in that they relied heavily on nationalism as a motivator for their countries. They are different however in that Germany was very focused on reclaiming their old territories and taking revenge on the countries who had destroyed their economy, while Japan was mainly seeking to expand in order to gain more power and resources for themselves. Another similarity between the outbreaks of the European and Pacific parts of the war, are that the situations were exacerbated by the lack of action by the other powerful nations such as France and Britain. Their use of appeasement in an effort to avoid war caused it to erupt out of control instead. In the years between the two world wars, a great number of things changed, the most important thing being the mechanization that was now a huge part of the conflicts. 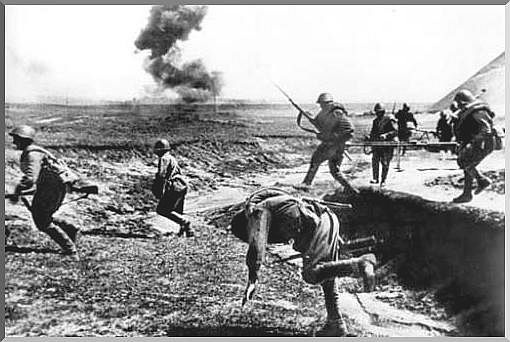 During World War I, oftentimes opposing forces would reach a stalemate because of the trench warfare that was utilized, this resulted in huge numbers of people dying because the only way to take ground was to rush heavily fortified lines of soldiers that were extremely hard to reach amidst the artillery, mines, enemy fire, and barbed wire. In World War II however, tanks were now being utilized which pushed troops away from the idea of trenches and resulted in a much more mobile kind of war. World War II also began a larger emphasis on aircraft who were now being used to launch airstrikes against enemy cities and towns instead of just reconnaissance. The most famous example of this would be the dropping of the two atomic bombs on Nagasaki and Hiroshima. In addition to the more advanced technology being used and the evolution of warfare strategy in order to keep up with it, was the introduction of Asia as a battleground. The pacific islands were an entirely new environment that the western forces were unfamiliar with and at a disadvantage in. The multitude of islands occupied by Japanese forces caused the United States and other Ally forces to have to slowly work their way through the enemy, rather similar to World War I's trench warfare, except with islands.